It is not the simplest thing in the world to run a business. So that a small company becomes a success, have a stable income and turn into a viable business, you would need to put in all your time and efforts, and in many places money. Worrying about the Small Business Mail Forwarding and packages are not something that the owner can afford to have during the startup. Many studies have proved that over 55% of the small companies are based at home. This is since, when a person starts a business, to spend money on pricey equipment and office space is normally tough. And the entrepreneurs who are young have always been searching for the other options to save money which is required for other things. But the thing that you are not aware of is that the mail that you are using is costing you a lot more than how much you may think. Nearly over 600,000 new companies are established every month though just a fraction of these remains in operation for the long-term, and at times only 15 years or more. And what do you think? Did these flourishing companies have to fret about their virtual mailbox address? We highly doubt it. Before you find out why you need the virtual mailing address for your business, let us understand what a Small Business Mail Forwarding is. You might have seen many businesses that offer the best virtual mailbox service. These companies play the role of a middleman that is between the customers and the company. Here, you are given a commercial, physical address to utilize as your company office address rather than using your home address. All you do is give this address to your business partners, investors, or customers, and get all the mail and packages daily at this address. Your mail arrives at the company that you hired with the service of spacious and secure facilities. They then notify you about it, and the mail is forwarded to you. Nonetheless, companies that offer virtual mailing address for business gives you a lot more than just the Small Business Mail Forwarding services. You can select from a list of options on how you would like to handle the mail forwarding service, like recycling, shredding, archiving, or scanning. You also have the option to set filters so that you can easily bypass the junk mails where the company would only forward the crucial mails to you. 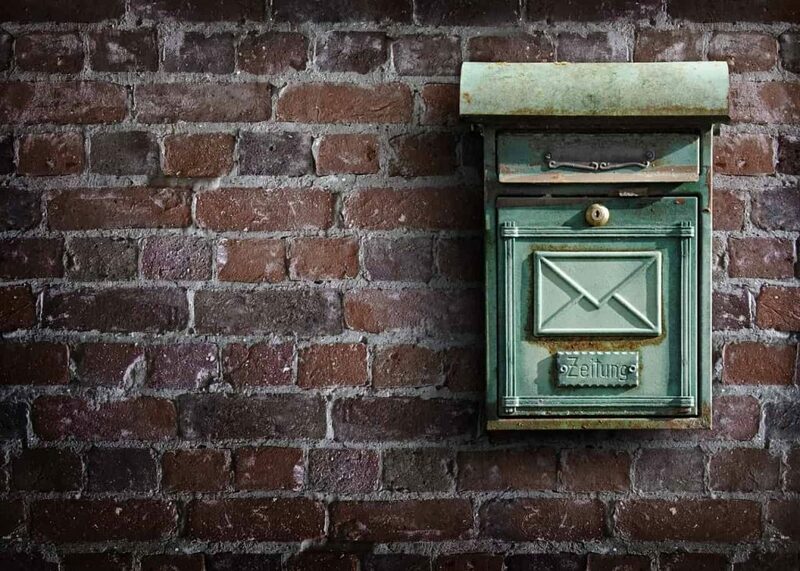 Now that you have an idea let us understand the eight reasons why you need the best virtual mailbox service along with explaining all the good you can get from it. Why do you need the Small Business Mail Forwarding Service? In case your business needs the delivery or even the shipments of crucial documentation, it could become an inconvenience. Since the business owners who have just established a startup are always searching for investors, moving around and working, it can be trouble for them staying bound down to a delivery date. You would either have to go to the closest USPS Post Office that might not always be near, or you would have to ask your neighbor or relative to pick up your mail. But that is not the worst. You might also have to have the mail delivered at your doorstep and wait for you to get back to your house to get it. In short, this would risk the safety and security of your mails like those that come from the bank or business documentation. This is a reason why you need to have a virtual mailbox address, and Inc Paradise can help you with it. Having your packages left out in the open or forgetting your mail and leaving it unattended in your mailbox, might lead to it being stolen. And with this, you can have your identity compromised, and it would take many weeks or even months to recover. Moreover, if you hire help just to pick it up and take it home to keep it safe, you would be spending a lot of cash on it. Unless you have insurance for the products or packages that you get, you would have to complain by filing it with the police department. After that, you would have to wait for the things to be sorted out or you might just have to buy that item again eventually. And this is another reason why you need the Small Business Mail Forwarding service from Inc Paradise. You would not only have to take the pain of the amount you lose when something goes wrong with the package; the postal mail earns a fee for any small company’s packages delivery and services. And if you do not spend money on the gas for driving to the post office, it is the postal fee that you pay, shipping fee and the stamps fee, when you can use this money in a better way for your business. Also, it is vital to have in a mailroom with the printer, scanner, shredder, etc., if you do not use the Small Business Mail Forwarding service. Think about the money you save and the space that you save by having the virtual mailbox address service. In short, with the mailbox that is digital, you have all the services in one place, plus you have more space, more valuable time and better cash flow. Like it was mentioned before, many small businesses are just home-based and this creates an unprofessional reputation for the person and the company. Clients would only purchase things from a reliable business, and with the home-based business address as your office address, even if you are rendering the best service with the lowest price, no one would bother to even look at it. Do not try to fix this by renting a virtual office or office space; you would spend more cash. The solution is to get the best virtual mailbox service for your business, where you get a real street address as well. Feel free to add this to your business cards and website. With the virtual mailing address for business, all your partners, investors and customers can send the company mails to the office address, and this keeps your home address private. You should never have your home filled with work nor should you have a surprise visit by a customer since they felt that was the office address. Furthermore, to have a corporate office address in the capital city is a great deal since it would draw a lot of bigger business leads and that is always a good thing. You might have come across times where you did not recycle or shred the mails which may cause you to feel guilty later on. And with just one click now, all the mail that comes in paper form can be taken care of as you support to make the environment clean. If you have a lot of messy files thrown around in your house, you are bound to have something lost. And if by mistake, the document that gets lost is a contract or document that is important, you might get in trouble. Other than this, having all that mess would also cause time delays. That is why it is better to have the mail electronically saved and taken care of by availing the Small Business Mail Forwarding service. With a digitized virtual mailing address for business, you would be able to access it at any time. And with this, you would always know what is important and have things done on time, be it for a partner or customer. Fast customer response time means better service and an excellent reputation. Instead of utilizing your house as the inventory for the products, mails, and packages that you get, you can use the Small Business Mail Forwarding from Inc Paradise to reduce the time spent, risks, cost, and efforts as mentioned above. Do not make your garage a mess or your store room a mess, use this service instead. If you have already set up everything and are looking for the right Small Business Mail Forwarding Service, you have got it all at IncParadise. Connect to know more about it and for any questions, feel free to comment in the section below.